Fact: Not only do dogwalkers pick up after their dogs, they dedicate one saturday morning a month to pick up poop and help improve the park for everyone who uses it. 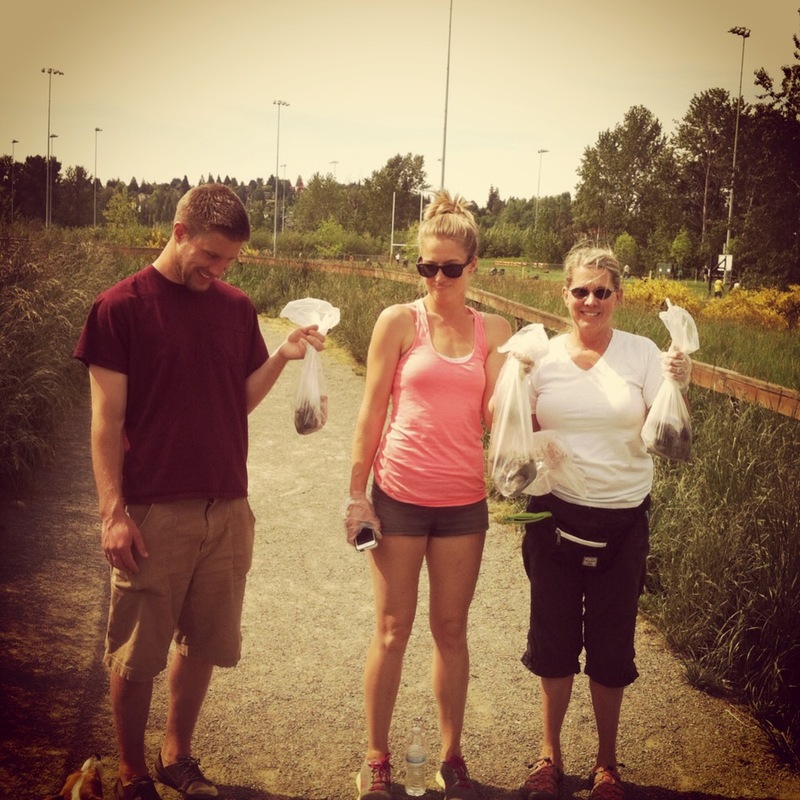 Magnuson Park has a volunteer work party on the 2nd Saturday of every month. Other off-leash parks have work parties once a month as well, we try to spread them out through out the month so walkers who use more than one park can participate in both work parties. At these work parties, we pick up a lot of poop. We get those couple of poops we missed while we are working plus about 20x more! We also work on projects to improve the park, such as cover up mud holes, spread wood chips over muddy areas or holes likely to cause injuries to people or dogs, cut down foxtail and blackberry bushes, repair fences, and much more. At Magnuson park, the work parties are organized by the Magnuson Dog Walker's Association, but all volunteers are welcome. We are there the 2nd Saturday of the month, from 9:30am-1pm. it's a dirty job, but somebody's got to do it! Posted on May 13, 2013 by ballwalkpark and filed under magnuson park and tagged seattle dog walker Queen Anne dogwalker queen anne dog walker seattle pet sitting Seattle dogs Magnuson Off Leash Park magnuson dog walkers magnuson park magnuson work parties magnuson dog park.